MODEL LEASEBACK OPPORTUNITY at Campus Grove! Come tour this beautiful Arcadia home...you will not be disappointed. The very best in finishes & amenities you expect in a Green Street home are featured here. 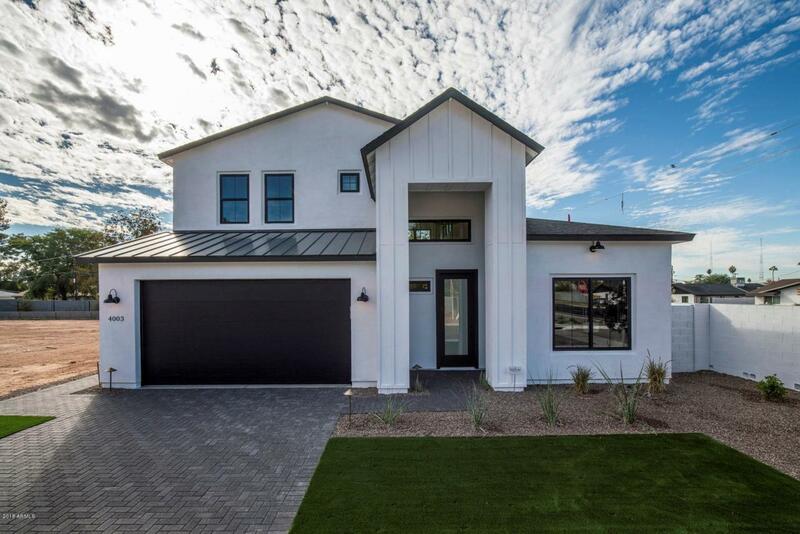 This 2132 sq ft two story home lives much bigger with soaring ceilings & natural light pouring in at every turn. Crisp & clean modern farmhouse finishes are featured throughout...Natural Stone Countertops, Upgraded Cabinetry, Stylish Lighting, Stainless Steel Appliances including 64'' Electrolux Refrigerator, open shelving, beautiful tile selections & a Gorgeous Shiplap Fireplace Wall! Down the street from The Vig, Nook, LGO, The Porch & more fun restaurants in the evolving Indian School corridor. Campus Grove offers the best of the highly desired Arcadia lifestyle at your fingertips!